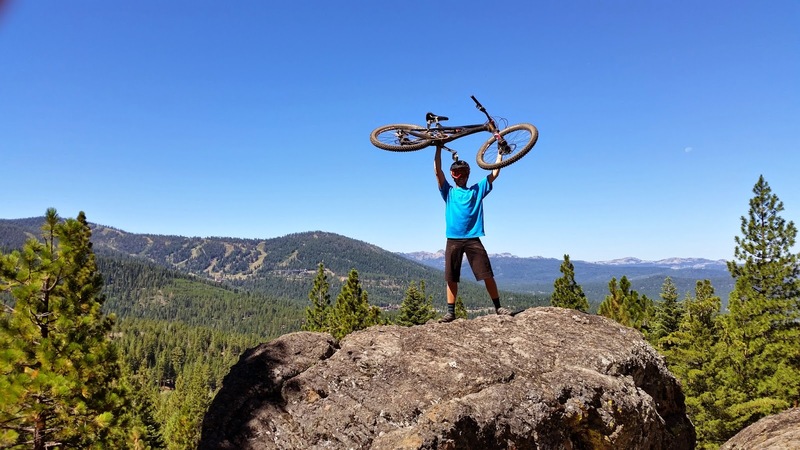 In an attempt to become well acquainted with the 2014-15 Cal Poly San Luis Obispo Wheelmen community, Ryan Miller marks the third rider spotlight. The following information was provided as a set list of questions, which Miller rocked. All responses are unedited. This is my first year as a Cal Poly Wheelmen! My favorite part of the Wheelmen is the common stoke to mountain bike and have a good time out on the trails and in life. I love cycling because it is a way to get out and get some great exercise in. But moreover to hangout and shred with your friends and to meet new people. I like to spend most of my time riding all mountain (as some would say enduro) but I have raced cross country for a couple years. I also ride and race DH and enduro. I think my favorite spot so far to ride in San Luis Obispo would be Montana De Oro after a nice rain. I just hope to get out and meet a bunch of people and shred some trails! On top of that, I would like to try to ride consistently throughout the year to keep myself in good shape for the coming race season, seeing now that this year’s mtb season is coming to a halt unfortunately. I am studying Materials Engineering here at Cal Poly. I love trucks and offroading. Hanging out with friends, skimboarding, surfing, hunting, fishing, and being outdoors.